One of the prettiest places I have ever stumbled upon in the Italian Riveria, on the Ligurian Coast, is Porto Venere. Personally, I had not heard of it before my arrival in Liguria, but I don’t think that it is a real hidden gem anymore. People have found out that this town is one of the most beautiful places in Italy…Yes, you read that right. It is one of the most beautiful places in Italy! But the good news is that it is still a village that is not overrun by visitors. People flock to the famous Cinque Terre, so Porto Venere is a place that visitors won’t have to share with many others. If you ask me, Porto Venere (or Portovenere) is the best day trip from Cinque Terre. 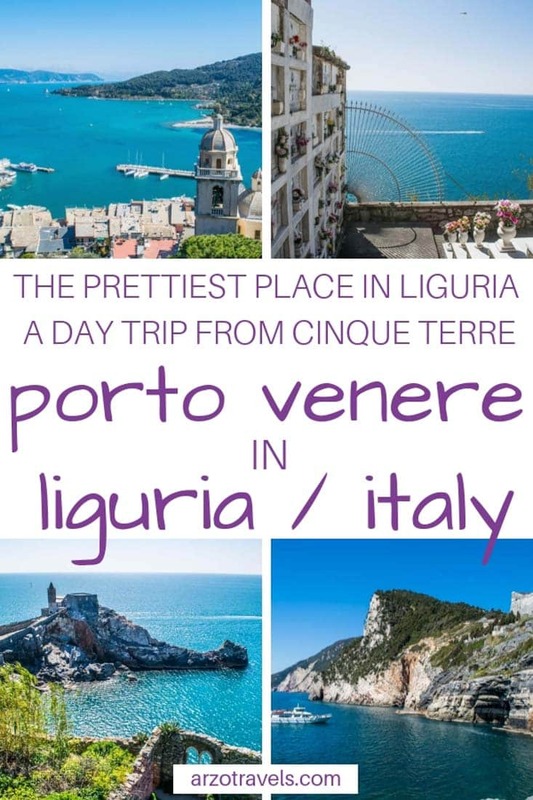 Honestly, if you asked me and told me you had only half a day in Liguria, I would recommend visiting Porto Venere instead of Cinque Terre – but that is a different story. 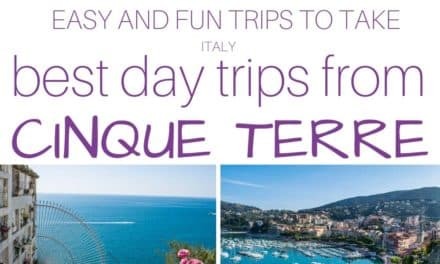 So, this post will help you plan your trip to Porto Venere from Cinque Terre – find out how to get to Porto Venere, what to do and see, and get some more travel tips for this beautiful gem on the Italian Riveria – one of the most underrated places in all of Italy. 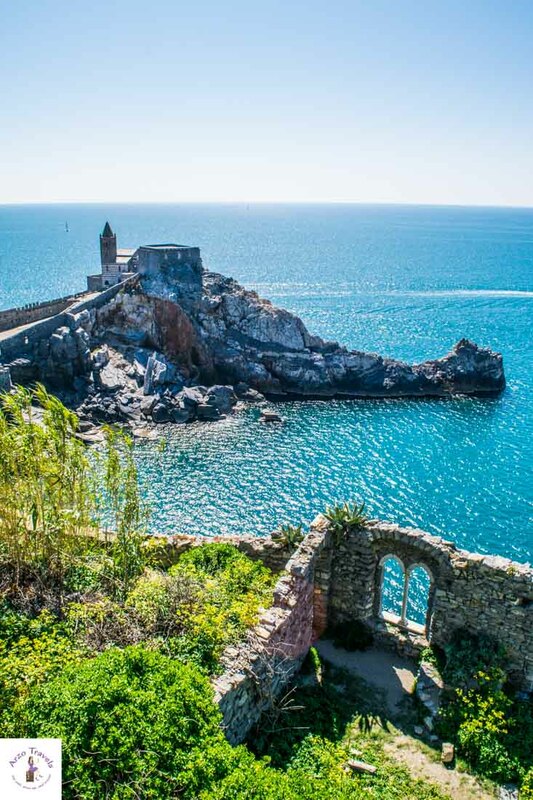 Before talking about the best things to do and see in Porto Venere, here are some tips for your trip to this gorgeous place. Porto Venere is located on Italy’s Ligurian coastline in the northwest part of Italy. 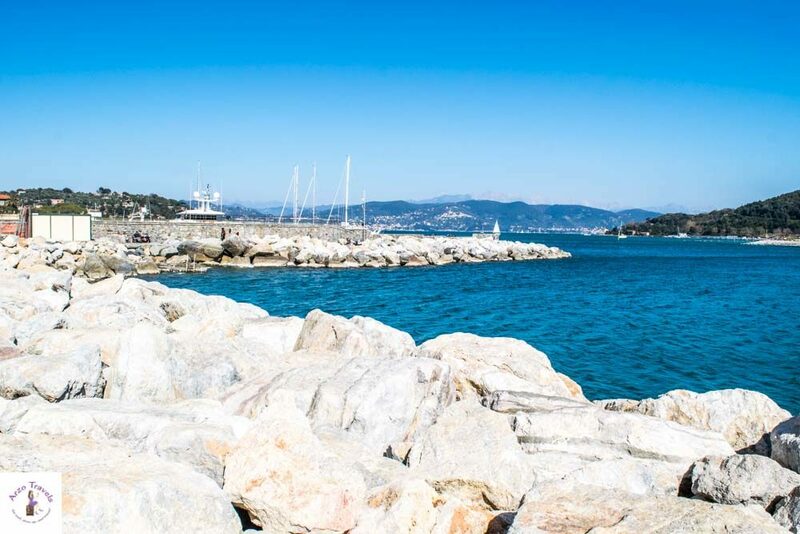 It is 14 kilometers south of La Spezia, about 90 kilometers north of Pisa, and 126 kilometers southeast of Genoa. Bus: You can take the train from Cinque Terre (from any of the five villages) to La Spezia. There, you will find a bus station (about 300 meters from the train station). Buy your tickets from the tobacco shop (round trip is 5€ – if you buy them from the bus driver, they are more expensive). 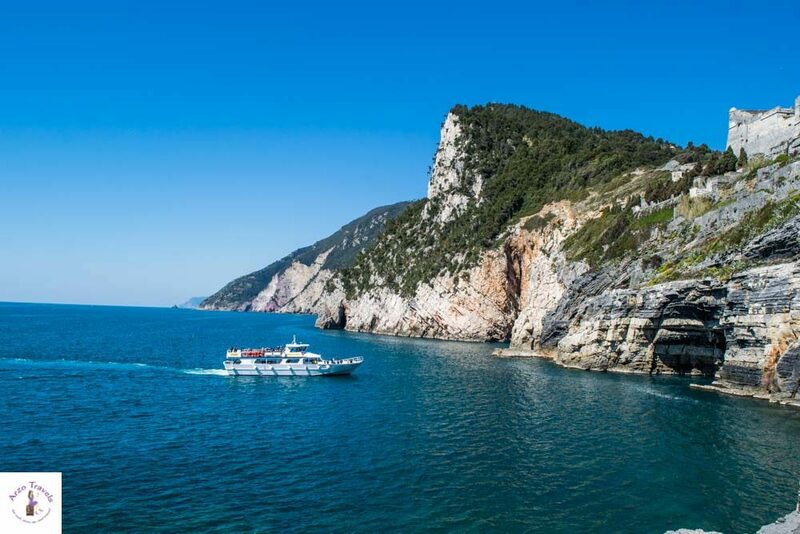 It takes less than 30 minutes to reach Porto Venere by bus – along the way, you will have nice views. Car: You can also drive to Porto Venere from La Spezia, or any other place. Keep in mind that parking might be difficult in the summer months (and expensive), and the streets are narrow. Boat: You can arrive to Porto Venere by boat (probably the most scenic way) from either La Spezia or any of the Cinque Terre towns (except Corniglia). Hike: You can also hike from Riomaggiore (the village closest to Porto Venere). At least for one way, this could be an option (takes about 5+ hours). Where to Stay in Porto Venere: I visited Portovenere for a day only – what a pity! If you are into hiking and want to escape the crowds of Cinque Terre, then book a hotel here in Porto Venere. There are not many hotels so, booking in advance might be the best decision. The Grand Hotel seems to be great – perfect location and a nice touch of luxury. 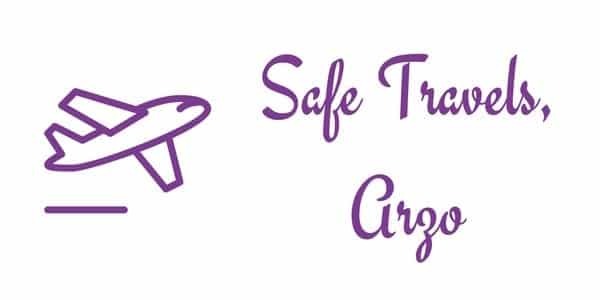 Click here to find out about the rates. 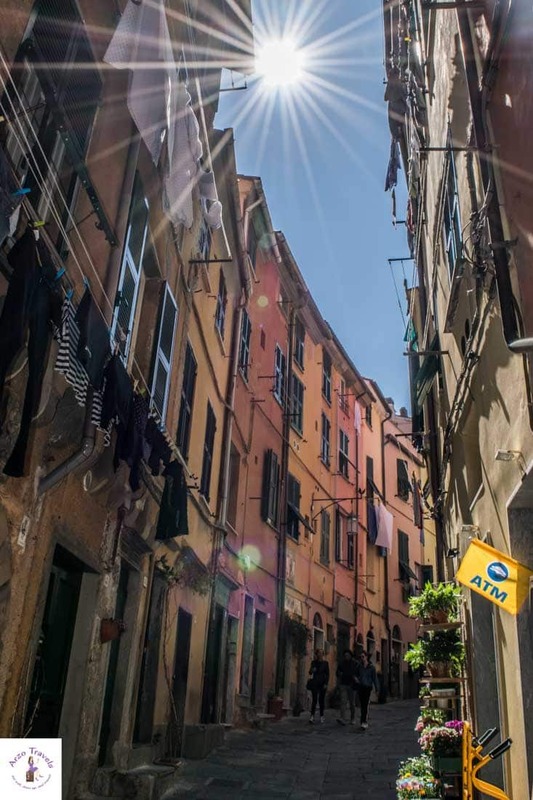 More Tips: Wear comfortable shoes (there will be some short and some steeper walks on the cobblestone streets of Porto Venere). If you want to hike, bring your hiking shoes. There are water fountains providing fresh water, so bring your refillable water bottle. First of all, Porto Venere is quite small, so one day (or even half a day) could be enough. However, I truly loved it and would not have minded staying overnight! 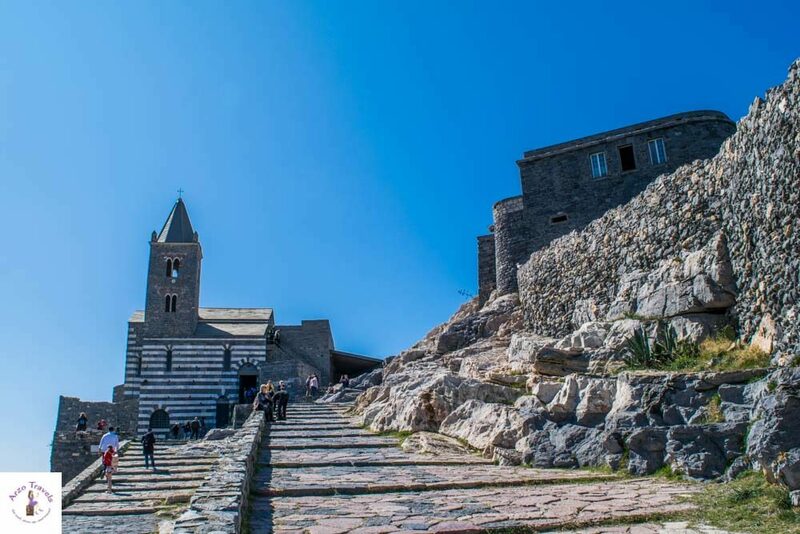 So, here is your Porto Venere list with what to do and what to see in a few hours. The sights are kind of located in a circle/square, so you can do the itinerary as is or vice versa and start the other way around. The first thing you will see is the harbor with many colorful houses lined up. 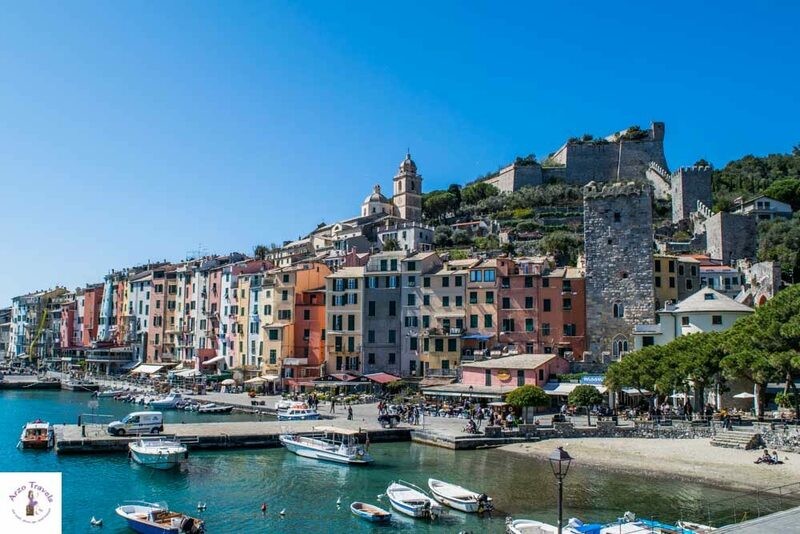 Liguria´s towns and villages are all colorful, but what makes Porto Venere special is that it is a bit bigger than the other villages, and the promenade – with its colorful houses – is bigger and, thus, a bit more impressive, too. I would probably wait to stroll the harbor and do it at the end of the day, so you can have lunch/dinner there. 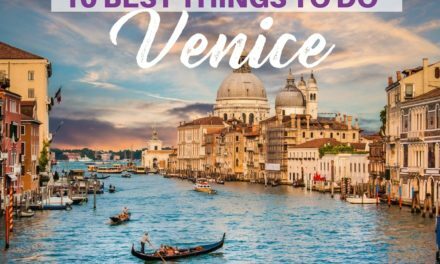 However, it might also be a good way to start your day with an espresso, as there are several cafes and restaurants lined up! I would start with a walk through the Porto del Borgo. Walk through the old city gate that is directly behind the promenade. 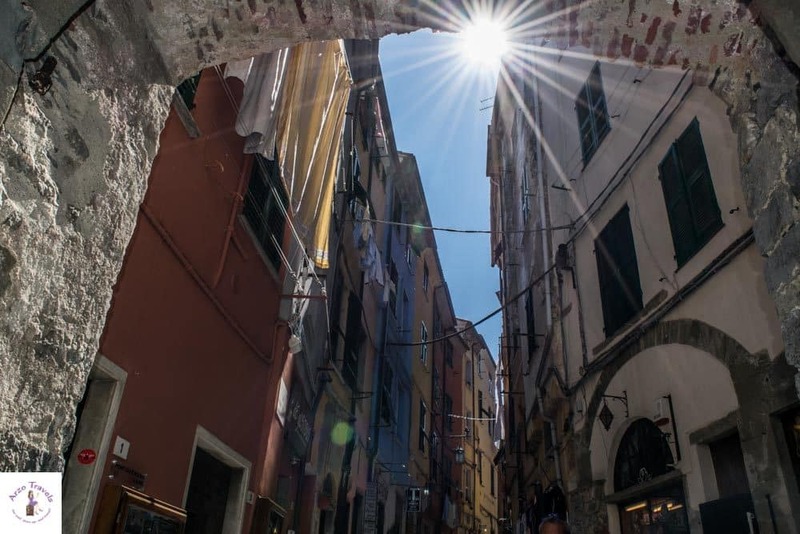 The entrance to the historical center of Porto Venere that leads to its main street – Via Capellini – was built in the 12th century. Here you have the typical narrow streets and old houses, including many little shops and more cafes and restaurants. 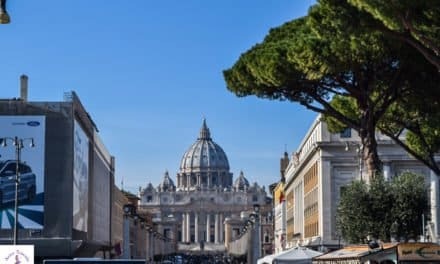 Though you can just walk along the street towards the Church of Saint Peter, I recommend looking to your left and taking some detours to discover the side streets. 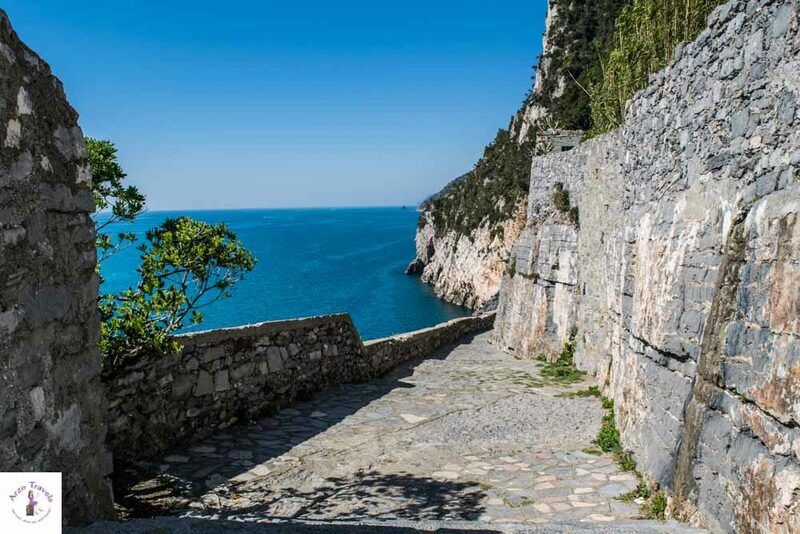 Towards the end of the old town, you will see more beautiful places – and other Porto Venere tourist attractions. Before you arrive at St. Peter Church, you will see Lord Byron´s Grotto to the right. This area was named the Bay of Poets because of the English poets that loved it. When Lord Byron stayed, he would often swim across the bay to see Percy Bysshe Shelley, another poet in residence. These days, it is a great place to sail, dive, and yes, swim (though the currents are tricky). There are boat tours bringing you to the grotto (not all, so double-check if you book your tour). The San Pietro Church (Chiesa di San Pietro) stands tall and proud on a hill – quite a unique location for a church. But as I said, this town is so special – and so is this church. So, the exterior is impressive, but so is the interior – white, but not overly full of glitz and glamour. It is really special, so make sure to have a quick peek. But it is not only the church you should see – walk around the building and enjoy the gorgeous views and scenery. Right next to the Doria Castle, you can find the Church of San Lorenzo. 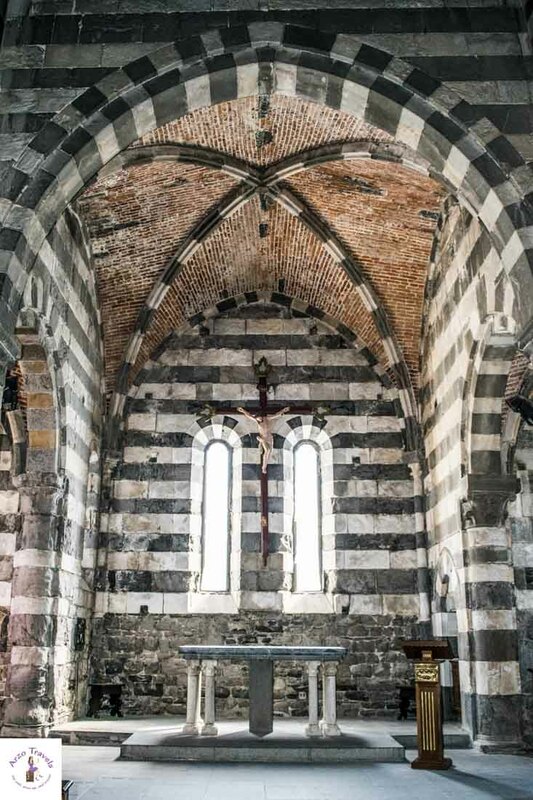 This church was built in the 12th century after Porto Venere had become part of the Gulf of Genoa. It has undergone several restorations over time, and you will pass it on your way to Doria Castle. The interior of this church is well worth a quick look, but if you are short on time, the view from outside is beautiful, too. 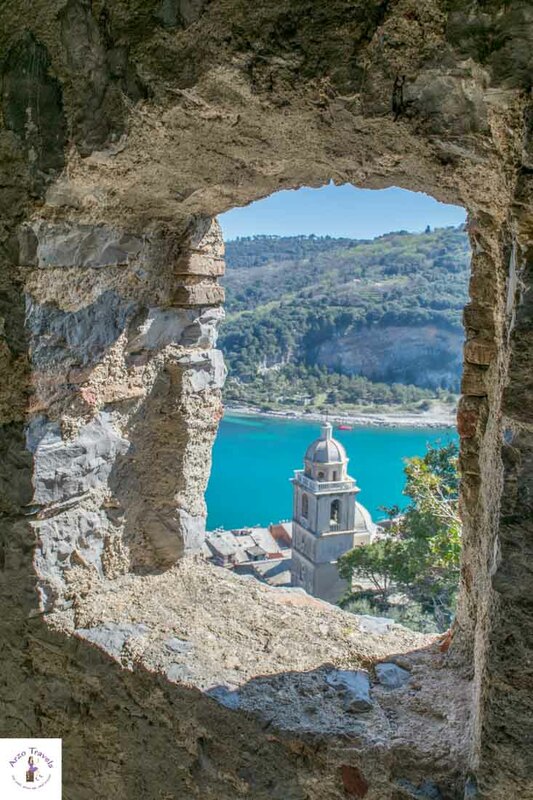 Situated on a rocky plateau with a towering structure, Doria Castle is one of the highlights in Porto Venere. 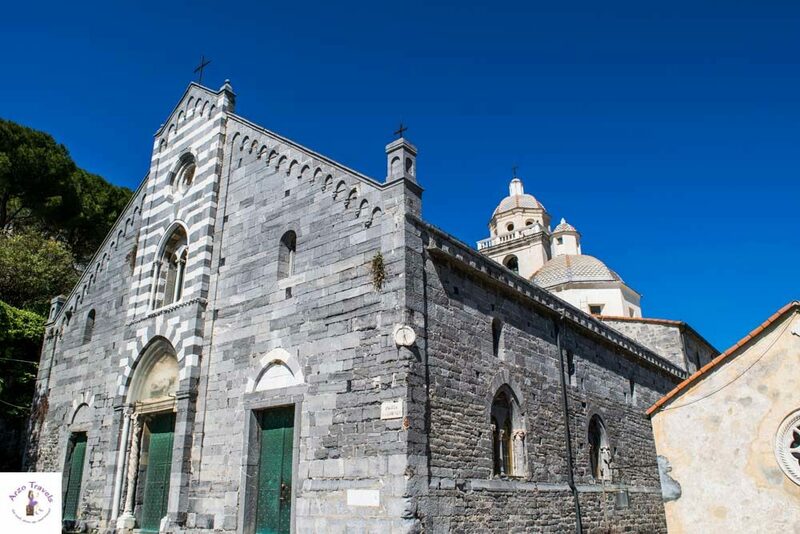 It was built as a typical Genoese military structure and dates back to the 12th-14th centuries. 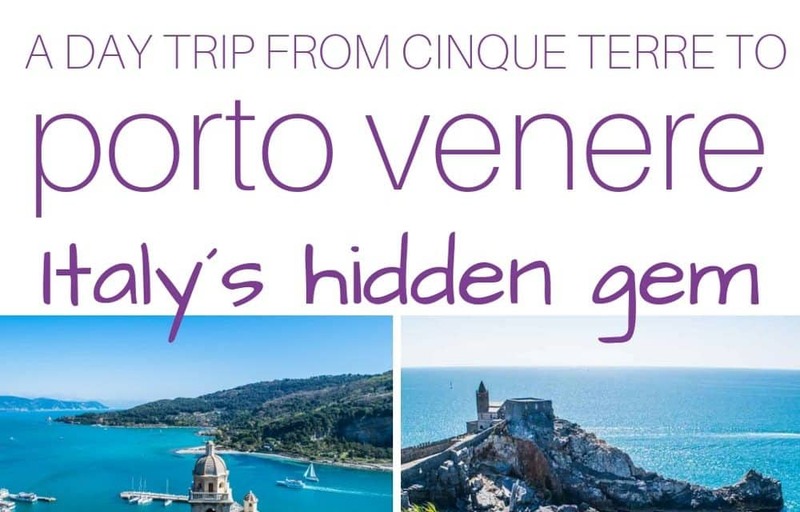 You can visit it, but you will have to climb some steps to get there – though if you have been in Italy for a while, this will be easy for you! The view is the best part! To be honest, the view alone is worth the 5€ entrance fee. I was so overwhelmed with the view that I did not even pay attention to the castle itself. You can get a little leaflet with more info on the castle since you might also be distracted by the view of the water and San Lorenzo Church. The island is well known for its hiking trails, with a lot of nature trails. If I had had more time and had planned better, I would have made sure to add some hiking to my Porto Venere itinerary, as it must be breathtaking. If you are in Riomaggiore, the closest town of the five villages of Cinque Terre, you will even find signs for the coastal walk. It takes five+ hours, but I can just imagine how great it must be. 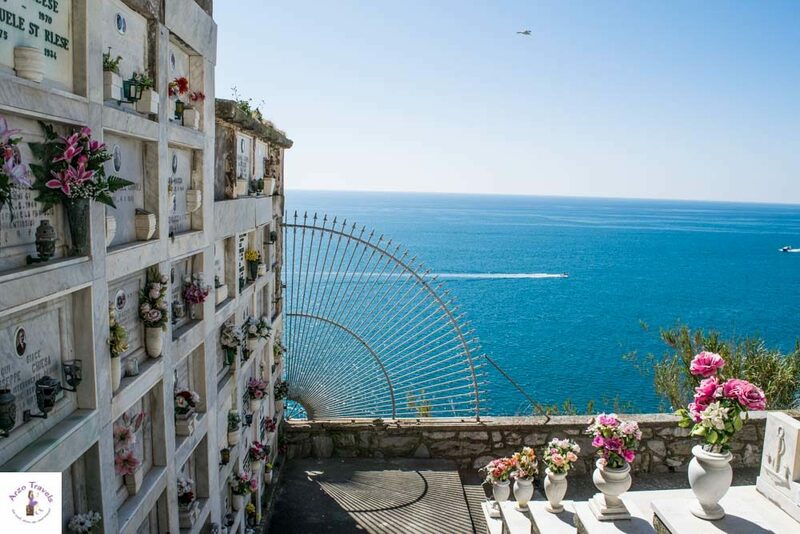 I don’t have an obsession with cemeteries, however, I visited the cemetery of Porto Venere on my way to the Doria Castle – and it was beautiful! If you have more time, you can do a boat excursion around these three famous islands. There are different boat tours available (different times, lengths, and prices, starting from 8€). There are ticket shops at the harbor where you can ask about prices and timetables. Porto Venere has a small beach section – nothing spectacular, but if you like to hop into the water at the end of the day, then bring your swimming clothes with you. 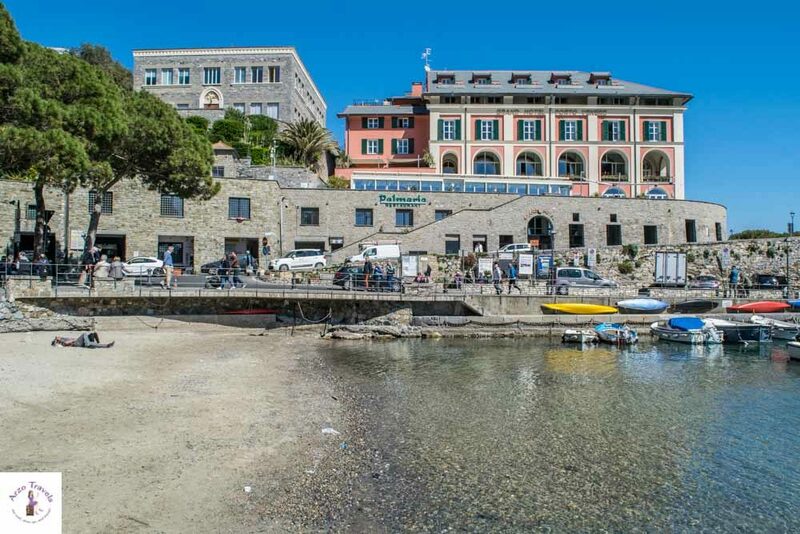 While sitting on the bus, I wish that I had gotten out at Le Grazie, a fun and busy-looking town on the coast, just a few kilometers from Porto Venere. Since my dog and I were exhausted from the previous days of our trip, I did not get out, but on my way back from Porto Venere to La Spezia, I walked to the next town, La Chiaglia. This was a lovely stop with an even nicer beach section. So, if you want to take a break and enjoy some beach time, you can add this to your trip! 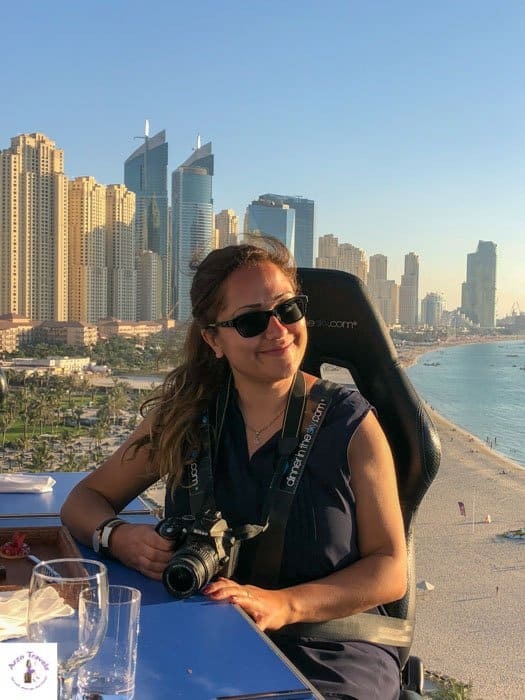 Even though I did not stay for the whole day in Porto Venere, I left in the afternoon, I would have loved to stay overnight to watch the sunset or sunrise and soak in the special atmosphere. 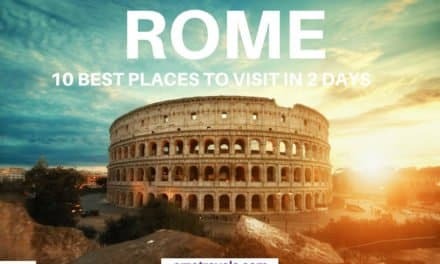 You can easily do the main attractions in a few hours, but staying overnight does not sound like a bad idea to me! I would definitely want to come back and am so happy that I did not leave this place out of my itinerary.